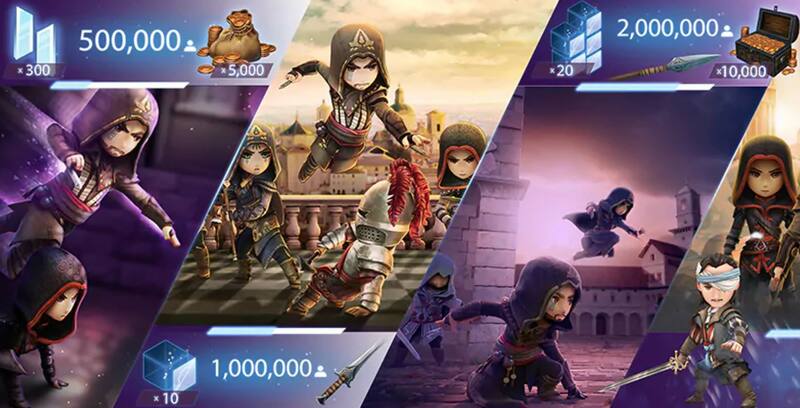 Assassin’s Creed mobile fans can rejoice as pre-registration for Assassin’s Creed Rebellion, Ubisoft’s upcoming smartphone take on the franchise, is now open. Rebellion is mobile only for both Android/iOS and is set to release on November 21st. Pre-registration notifies Android users when the game is available for download. Additionally, those who pre-register will be given the opportunity to get special bonus gifts and weapons from the series’ latest console title, Assassin’s Creed Odyssey. Rebellion takes place in 15th-century Spain. In the game players start their own Brotherhood by building a base and recruiting 40 different characters. These 40 characters include assassins from past games in the series such as Ezio, Maria, Claudia Auditore, Aguilar and Machiavelli. Assassin’s Creed Rebellion is a free-to-play role-playing game. Get ready to sneakily assassinate the unexpected.